Can you breathe your way to better skin? Anyone who's ever gone without sleep for too long or overindulged in salty foods knows that lifestyle choices can easily show up on the skin. Our skin is our largest organ. It plays an important role in eliminating waste and toxins from the body. It's also susceptible to free radical attacks, which damage skin cells, particularly collagen. As you may know, losing collagen can cause your skin to sag and wrinkle. In order to have healthy, glowing skin, we want to put fewer toxins in and on our bodies so our skin doesn't have to do as much work to eliminate them. And we can also take steps both to decrease free radicals and to increase our skin's ability to fight them off by ensuring our skin is well-oxygenated. Fortunately, there's a simple practice we can incorporate into our daily lives that attacks both of these fronts at once. A major cause of free-radical activity is stress. Decreasing stress (easier said than done) can limit free-radical activity and help protect the skin. Managing stress through yoga, particularly the practice of pranayama (the expansion of vital energy) is a very effective way to protect our skin and the health of your entire body. Pranayama is a form of breath regulation. Not only can it calm your stress levels, regulate your stress hormones (such as cortisol), and improve cognitive function, it also provides the other piece of the puzzle for healthy skin: oxygenated blood. There are two forms of pranayama, kapilbhati and sitali. Kapilbhati, which translates to "glowing forehead," can help your body release toxins and strengthen the nervous system. Sitali helps reduce inflammation throughout the body, which is essential for optimal skin. In fact, integrative dermatologist Dr. Cybele Fishman says, "I always tell my patients that in order to have beautiful skin, you need to 'be the least inflamed person you can be.'" These breathing exercises are a great way to reduce inflammation throughout the body. A number of studies have linked them to decreases in anxiety, finding significant differences between practitioners and non-practitioners. One review published this year in Complementary Therapies in Clinical Practice found that practicing yoga through breathing, meditation, and posture-based practices actually increases brain wave activity, stimulating the amygdala and frontal cortex. Another study, published in Acta Cardiologica, even found that yoga practice can lead to increases in HDL (good) cholesterol. The participants in this study also experienced lower blood pressure and fasting blood glucose levels. If you want beautiful, glowing skin, it's important to keep your stress and inflammation levels low. Pranayama is a great way to do this. If you want more information on how to begin a pranayama practice, ask your local yoga studio if they offer classes. There are also some great video resources online if you'd like to give it a try on your own. And try to take steps to reduce and/or manage the stress in your life where possible. 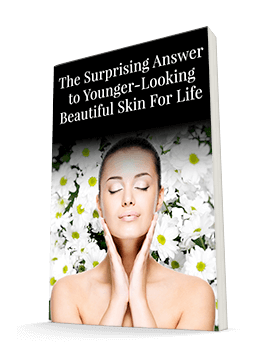 It will make a huge difference in the health of your skin.